Recently built, our hotel offers large, comfortable and isolative rooms, with all the comfort you might expect to find in a modern hotel. 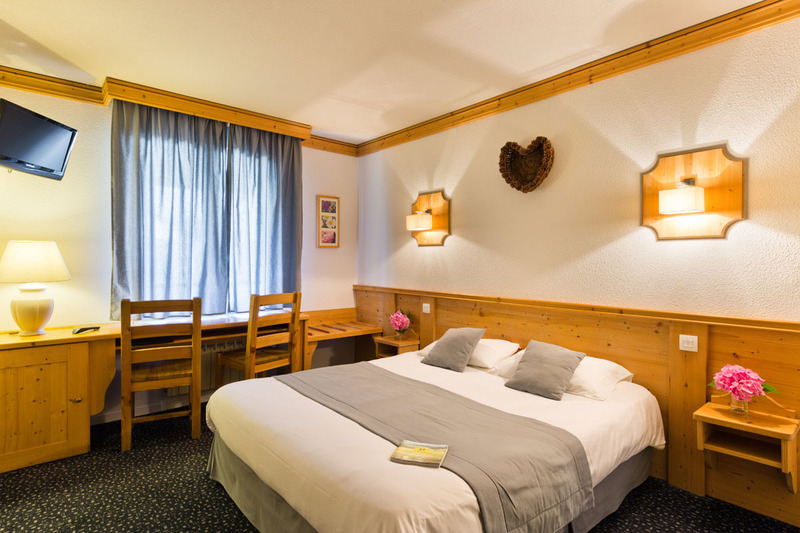 Our charming rooms marry light mountain style chalet decoration with contemporary equipment such as comfortable large beds. All our rooms are non-smoking. 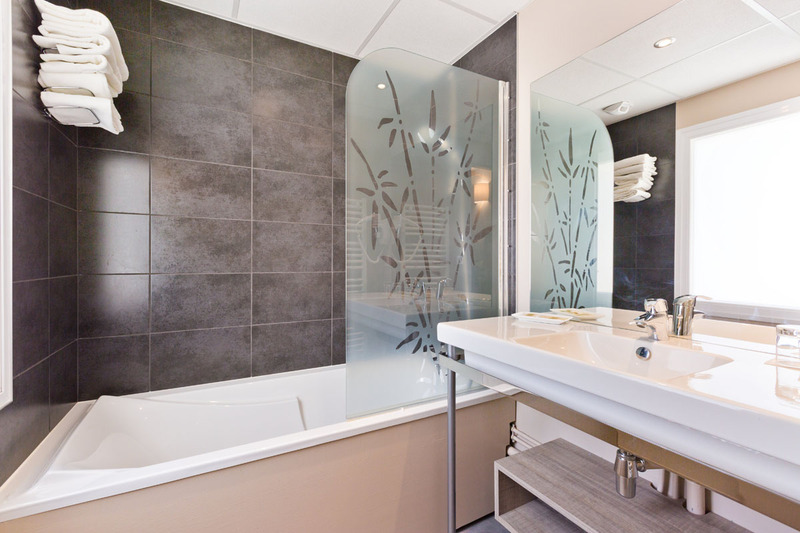 We also have family rooms for 3 and 4. Baby cots free of charge are available upon reservation. 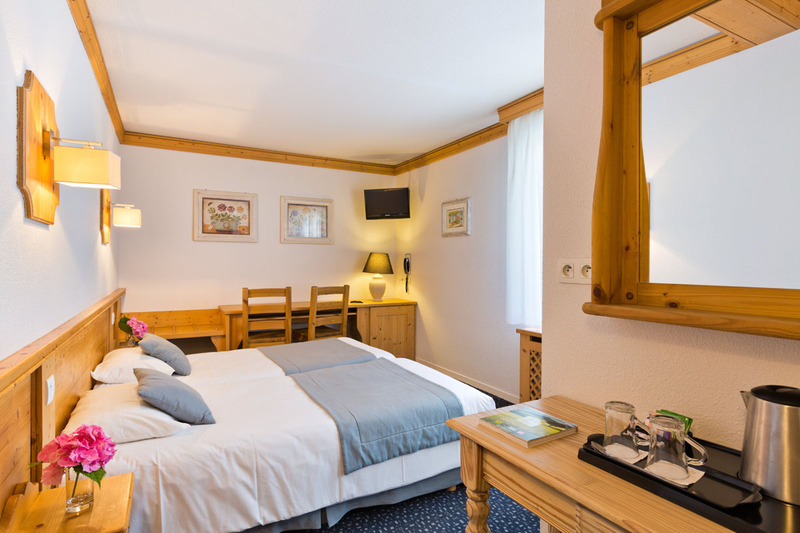 Our double room has a surface of 20 m2 and is suitable for 1 or 2 persons. It has a queen size bed of 160×200 cm and a fully equipped bathroom with shower, bathtub and private toilet. 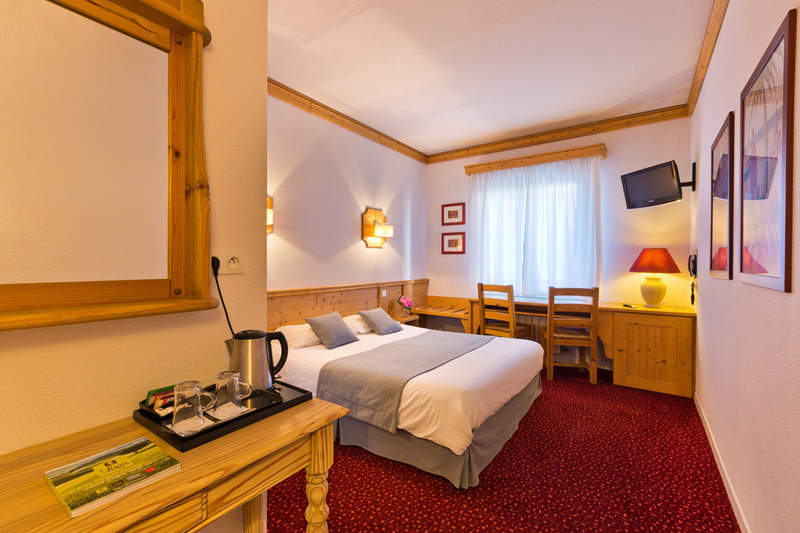 Our twin room has a surface of 20 m2 and is suitable for 1 or 2 persons. It has 2 single beds of 90×200 cm and a fully equipped bathroom with shower, bathtub and private toilet. Our double room has a surface of 25 m2 and is suitable for 3 persons. It has a queen size bed of 160×200 cm plus a bulk bed or another double bed and a fully equipped bathroom with shower, bathtub and private toilet.